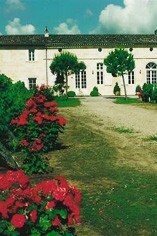 Château Belair, a St. Emilion Grand Cru Classé property is owned by Madame Dubois-Challon who is also co-owner of Château Ausone. Her late husband Jean purchased it in 1916. The same "régisseur" responsible for the rise in quality of the wines of Ausone over the past 20 years, the "philosopher-winemaker" Pascal Delbeck has also been responsible for improvements in quality at Belair. 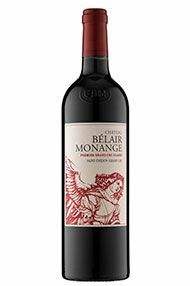 The 13-hectare Belair vineyard is situated mainly on the St. Martin limestone plateau and the average age of the vines is 35 years including some that were planted around 1900. The blend is typically 70% Merlot and 30% Cabernet Franc. The winemaking is meticulous with the grapes are hand picked into plastic baskets then sorted, de-stalked, gently crushed and transferred into stainless steel tanks by way of a moving conveyor belt using a prototype machine known as the Vinosaur. The wine is aged in 60 per cent new oak barrels the wood for which is selected and dried in the open air at Belair. About 55,000 bottles produced each year.